Zoran Živković was born in Belgrade, Serbia (former Yugoslavia), in 1948. In 1973 he graduated from the Department of General Literature with the theory of literature, Faculty of Philology of the University of Belgrade; he received his master’s degree in 1979 and his doctorate in 1982 from the same school. 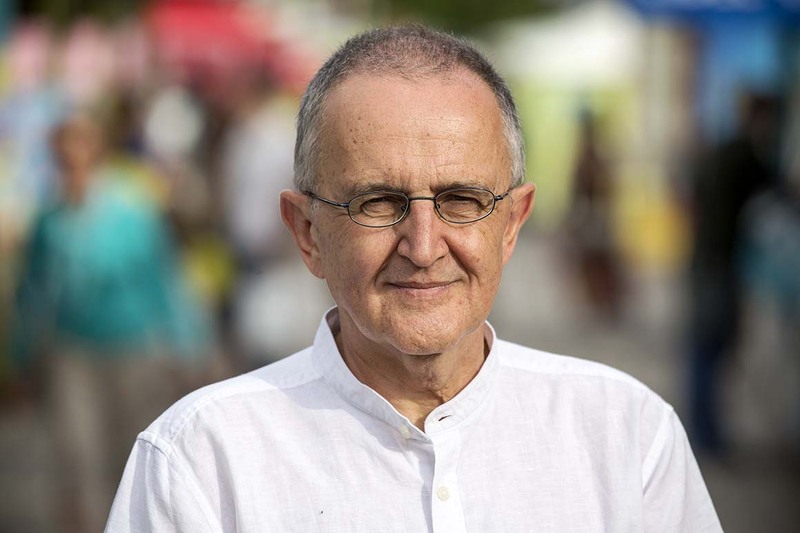 Until his retirement in late 2017, Živković was a full professor in the Faculty of Philology at his alma mater, teaching Creative Writing. The author of twenty two books of fiction and nine books of nonfiction, published in more than 100 editions in 23 countries in 20 languages, Živković continues to push the boundaries of the fantastic and surreal. His writing belongs to the middle European fantastika tradition, and he shares much in common with such masters as Mikhail Bulgakov, Franz Kafka and Stanislaw Lem. Author photo by Nuno Ferreira Santos. Used with permission.